© Hong Xu. All rights reserved. This is a section of the great wall, a part of the "old wall" not rebuilt, extending into its entirety in the backdrop mountains that were almost engulfed by smog. 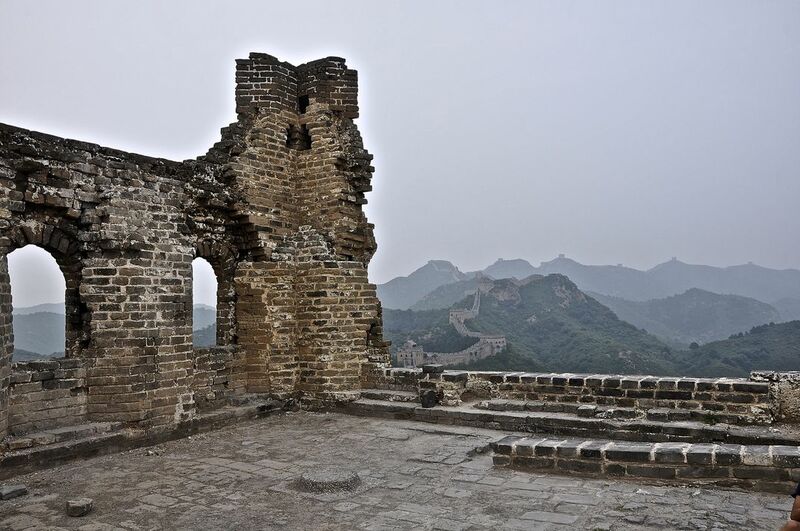 I hope to show the magnitude of the great wall both in its historical sense and its structure.